First of all – congrats! You have an awesome partner and you've decided to commit to building a life together. Love is neat like that. Secondly, I know there's a lot of work that goes into planning a wedding celebration. Of course there are venues that spoke to you, gorgeous flowers, fun clothes, yummy foods, and artistic details that make your celebration *yours*. But there are also shared looks, hugs, kisses, smiles, and the people nearest and dearest to you surrounding your love with even more love. You know, the parts that silently shout "LIFE IS BEAUTIFUL!" There are so many moving pieces and on top of all that the day itself can feel like it is flying right by. Someone should be there to document it. Oh, hi. That would be me. Whether you're keeping your circle small, eloping, or renewing your vows, I'm happy to find the beauty in your intimate wedding and produce images that tell your story and show your amazing, amazing love. I'll combine the flow of my portrait sessions with photojournalistic capture to create lifestyle wedding photography that's fresh, real, and sweet. You get images that can take you back to that moment for long after everyone's gone home and the dessert plates are wiped clean. Hang those images on your walls. Put them in frames. Post them on the Instagrams. Share them with your kids and their kids. Enjoy them every day for all the days to come. 1. Fill out the form on my contact page. Be sure to tell me something special about you and your significant other! 2. 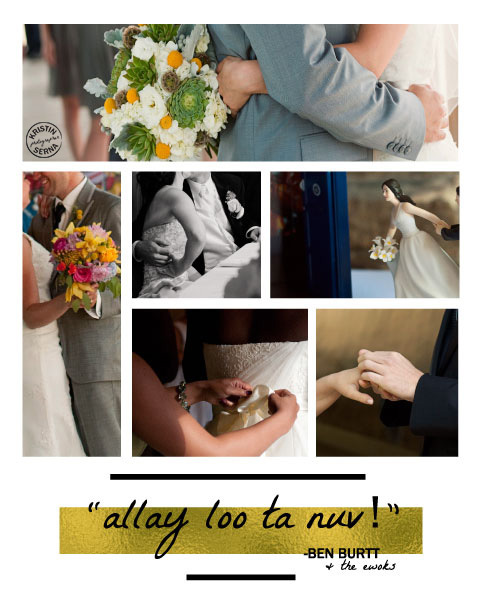 I'll get back to you with my wedding welcome guide and we'll plan a time for a consultation online or in-person. 3. A signed contract + non-refundable retainer = your wedding date reserved! 4. We'll keep in touch and about two months before your big day we'll talk again to go over your wedding day timeline. 5. You celebrate your union with the one who lights up your heart – totally care-free. I photograph it. About 6 weeks later, you get to see all your photos, share them with family & friends, and place your orders. A limited number of wedding commissions are taken per year. Prices are for Chicago and Chicagoland weddings. Additional travel fees will apply for other locations throughout the world. Prices are subject to change.